How to and Tips for Success: There are plenty of day ticket waters where anglers often fish for Carp, F1s and 1000’s of other siver fish, however in these places the humble Perch gets overlooked and quite often forgotten about. 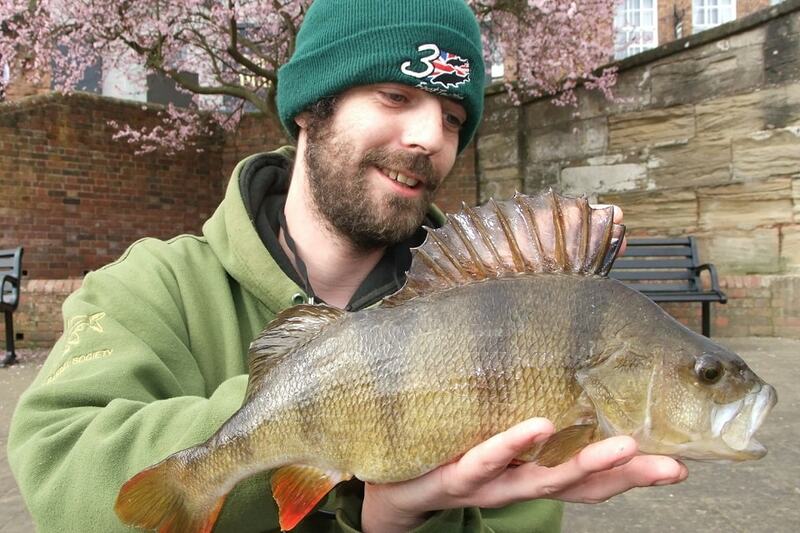 Left to a quiet life getting fat on small Roach, these places can be brilliant to find true mosters. Live bait is the best way to catch, however it is very imprtant to firstly make sure the fishery rules allow you to fish with live baits, and secondly you must also remember to never bring fish from a diffent fishery to use as bait. This is to prevent cross contamination between fisheries which can result in killing off an entire fish stock. Another thing to remember is that if there are Pike or Zander in the place you are fishing you must use a wire trace. Use a normal loafer float attached top to bottom with float rubbers, attatch this to your 8lb main line. Below this, put two float stops with a size 8 quick change swivel in between them. Tie a half ounce lead weight to the end of your main line. Fish with a five inch fluro-carbon hook length to a size 8 wide gape hook attatched to your quick change swivel. The reason for the float stops is that they make it easier to adjust to the depth of the bait you are using. Then it’s as simple as lip hooking a live bait, setting the depth up and casting in to the right place. Keep moving and give yourself about 20 minutes in each spot, you will find the Perch are more likely to bite about an hour before dark. Previous Post The GOONCH - A GREAT Fish like no other ! !